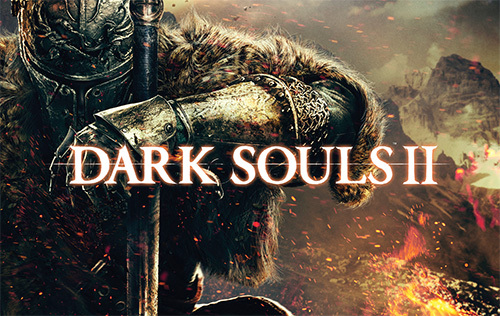 Dark Souls II is an action role playing game developed by From Software, released onto PS3, XBOX and PC in 2014. 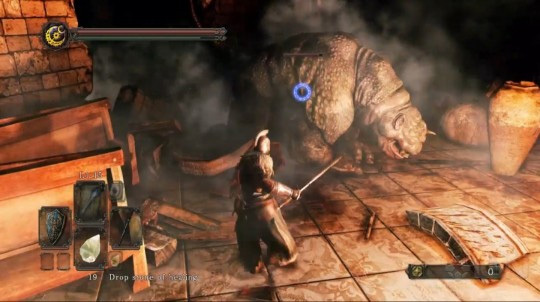 Players take control of a character in a 3rd person view which they customize to take on hordes of enemies, traps, and epic bosses lurking around every corner. 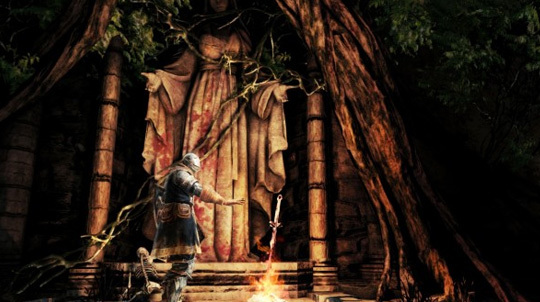 The player is encouraged to explore with caution and learn from their mistakes as they venture into the medieval themed open world of Drangleic on a pilgrimage to collect souls, kindle the bonfires, and bring balance to the world. A new graphics engine was created for Dark Souls II, which improved the overall presentation of lighting, background animation, environmental effects, armor sets, weapons and spells. Visually, there are areas that are absolutely gorgeous, full of detail and rich with design, while other areas were the complete opposite. Allot of the time I was encumbered by the new engine, as it is constantly loading; anytime you turn a corner the game would momentary freeze, speaking to an NPC audio wouldn’t load with the dialogue, accessing your menu items display delayed up to 5 seconds each time, and during combat commands with the interface would stick or be ignored. Even though the character design was more customizable, it had limited options and presets to choose from. I was disappointed that I couldn’t make a withered old man with a long white beard because of the cloth mechanics, or dwarfs considering there are dwarf NPCs in the game. The music wasn’t as memorable as it was in past souls games; the only sound track which stood out was the ending credits. Improved lighting effect, sometimes does render the game great. 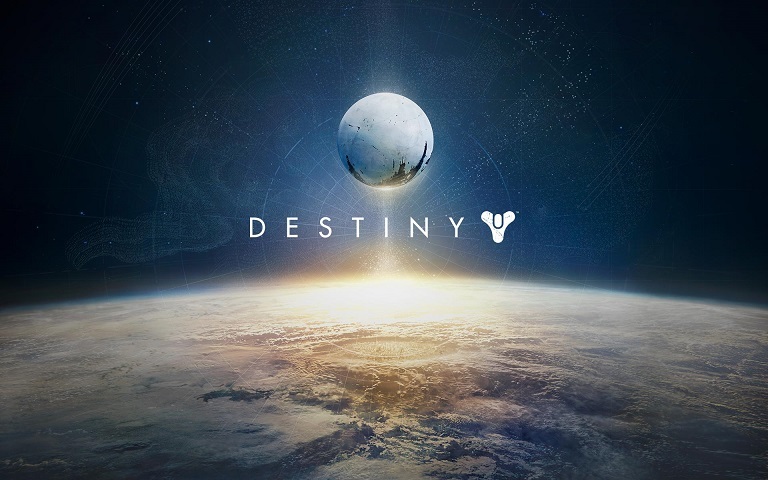 Players connect with each other through summons or invasions. By posting a summon sign, a player can be summoned into another players world to aid the host with progressing through the area. Using a ring or consumable item, a player can invade another player’s world to defeat them. Different covenants determine the type of invasions you may have and items you may acquire once your goal is met. In Dark Souls II there are a number of new restrictions in connecting you to other players; a player can only connect with players in NG if they are in NG, or New Game + and above with players who are in NG+ and above, and Soul Memory; the total amount of souls you have accumulated through out the game. As a result connecting with other players is constantly fluctuating between one extreme to another. It can be aggressive and very active only to suddenly stop after you acquire a few thousand souls. 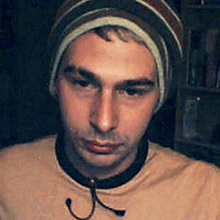 Because of Soul Memory, players are often conflicted when creating builds, there is no reason to stop from leveling up, because players who are at maxed level can invade players at low levels. 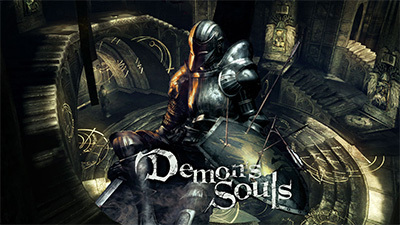 When connecting with other players you are given limited amount of time before you are kicked out of their game, and because the areas are allot larger than previous souls games, you often don’t have enough time reach the area boss before you are forced to leave. When invading, you can spawn in an area which is blocked by an enemy that can’t be moved, or is in front of a switch or ladder that can’t be accessed because an AI is near it. Even though I liked the new concepts for covenants they didn’t work that well; when in the Rat Covenant you summon players into a world full of traps, but because the area isn’t mandatory you barely ever encountered another player. Cracked blue orbs are suppose to look for players who have sinned anywhere in the game letting you invade areas outside of the areas you are in, was a neat concept but often didn’t work. As a Mirror Knight Squire, you were summoned by the boss to defeat the host, but each time I was summoned I was killed before I could move or see what was going on. I really didn’t like the matchmaking, or how poor the connection stability was when I did connect with players. 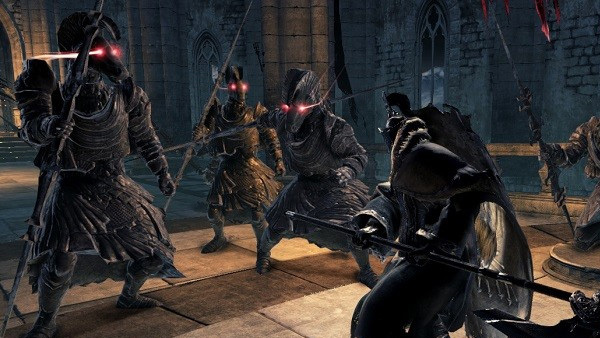 Dark Souls II introduces dual wielding of weapons, allowing the player to use a weapons full move set in each hand, and power stances, allowing a player to have an enhanced move set using both weapons at the same time for increased damage. I found it to be a really fun idea, since different combinations of weapons while in a power stance can unlock unique move sets. Unfortunately because of poise, which in Dark Souls allowed you to absorb damage by the amount of poise you had, has been so drastically altered, that regardless of how much poise you have any weapon can stagger you before an attack can be launched or even infinitely stagger you to death regardless of how much health or defenses you have. I was dueling another player as a tank build dual wielding ultra great swords and had 150 poise only to be staggered before I could attack from a player using a one handed rapier, making my build completely useless against fast weapons. Other times I have been staggered to death after the first hit even when having maxed health. 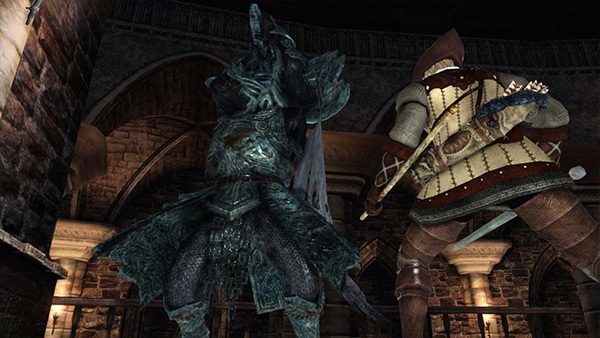 Enemies in Darksouls 2 often double/triple your Character's Size, as well as weapons they are using. The weapons tracking has also been changed drastically, when locked on to an enemy directly in front of you, an attack can still miss the target depending on your weapon and move set. It can be so bad at times where your weapon will do no damage even with a direct hit or completely reorient your attack to go in an opposite direction. Some weapons move sets can hit well outside the attack range of the weapon, and can continue to hit you with combo attacks even though it’s nowhere near you, as well as having high damage output, good tracking, fast attack and recovery, and barely consume stamina. Because of this, you tend to see players using the same weapon classes all the time. Armor sets can now be scaled with stats, increasing defenses to already high defense armor sets, and may also include bonuses such as increased souls, item discovery, faster casting of spells, more casts of spells, and immunity to backstabs. Also, a player can buff multiple times for additional defense, and use rings that can absorb 100% damage from 180 degrees of their bodies, to become practically invincible. I dueled this one player and landed ten of the strongest spells in the game, which one spell would normally kill him, they received no damage because of a ring. Healing in Dark Souls II is the worst yet. In demons souls both the host and invader could heal and replenish spells so it was at least even. 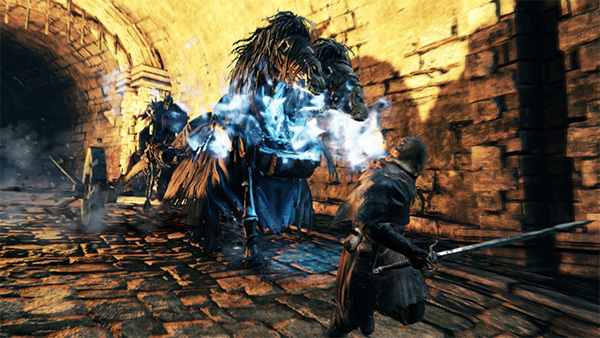 In Dark Souls you could punish a player that was healing with a backstab that did considerable damage, or use a Lloyds talisman to prevent them from healing. In Dark Souls II invaders can’t heal or replenish spells with consumables, Lloyds Talisman are useless because there are over 10 other healing consumables that are unaffected by it, and backstabs are nearly impossible to land. I am always running into players who roll through attacks fully heal and roll away before you can punish them, which is extremely frustrating. Allot of the duals consist of players buffing multiple times on top of already having armor with the best defenses, only to have them roll through an attack and fully heal, followed by stunlocks that didn’t come into contact with me. Even though there are shields in the game, I found them to be useless most of the time, because when an enemy attacks and you raise your shield before the weapon comes into contact with your shield, you will still get hit with the attack and any combo that follows. If you keep your shield raised you can be guard broken and receive a critical attack that does a ton of damage, so their really isn’t a point to using one. 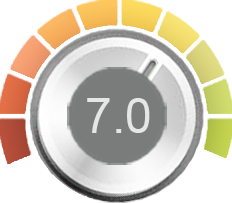 The main defense is dodging the attacks, but in order to not take damage from an attack that doesn’t come into contact with you, you need to invest into leveling up agility. When playing through the game the enemies are largely overpowered; they do allot of damage, have perfect tracking, and attack in swarms anywhere from 3 – 20, with combos and unlimited stamina, so you need to tread carefully. There are tons of armor sets, weapons and spells in the game available to the player, but there are some that the enemies use which are not available to the player, and some that are next impossible to acquire because the drop rate isn’t very good and there is a limited amount of enemy respawns. The NPC you can summon to aid you and also play a significant role in acquiring trophies aren’t very intelligent, they often just stand in front of a bosses strongest attack just absorbing damage until they die within seconds. The developers eventually patched them, but instead of making them smarter, they were given insanely high defenses, which players now use to have an advantage over invaders. I was overwhelmed and surprised at how many traps and ambushes I encountered, even bonfires can have a swarm of enemies around them that respawns and attack you every time you rest. Bosses can have hidden strategies to defeating them as will as attacks that are rarely seen that was amazing when you did. New game plus doesn’t just increase the enemies damage and defenses, it also introduces to new enemies, and a re shuffling of enemy’s spawns and reactions to you as you enter an area, making playing through the game a second time just as surprising as the first. Much of the charm with the soul’s series is the lore told through the content you acquire and brief dialogues from NPCs you meet along your travels. Even though the lore is still very much apart of Dark Souls II, it wasn’t as enticing as it was in the original Dark Souls. 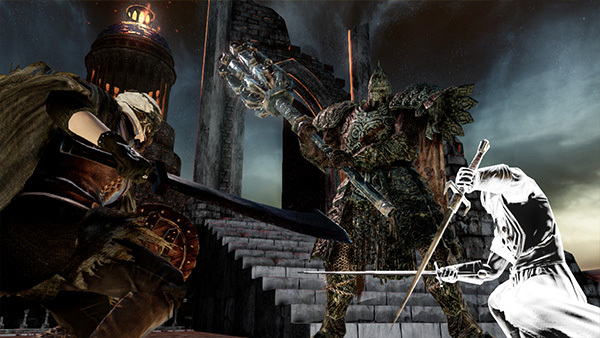 Dark Souls II isn't as well designed as its predecessors. 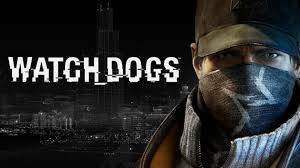 It has potential to be a really good game, but is ultimately ruined by poor design choices and technical issues. Instead of improving upon an already successful formula they changed it completely; where the combat isn't as tight or balanced, being able to connect with other players is more complicated and unfairly matched, graphics is is a much poorer quality than what was advertised, and acquiring allot of the content is next to impossible regardless of what efforts you make. There is a difference with a games difficulty being hard as suppose to not working correctly, and many of its systems don't work correctly. I really wanted to love Dark Souls II, and even though I did enjoy it at times, I was constantly being reminded of one poor design after another deterring me from replaying the game.